Good news for those who will get new iOS devices, it has been announced yesterday by Tim Cook,Apple CEO, during the Apple Event that all new iOS devices can have free iMovie, iWork, Pages and Number installed in their devices. 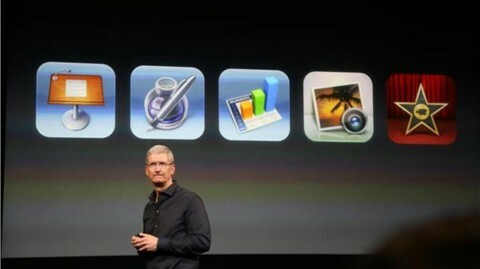 “Almost all of our customers want these apps,” said CEO Tim Cook during the Apple iPhone event on Tuesday. Upon set up a new iOS device, users will be prompted to download the apps the want for their device. Apple is charging for this apps. Keynote and Pages are both priced at $9.99, while iMovie is priced at $4.99. Actually i bought keynote for my iPad and it is really serving it’s purpose. I hope it could also be free for old devices.